Only if you call us we can give you the most convenient quotation! Call us now at +390974932153! 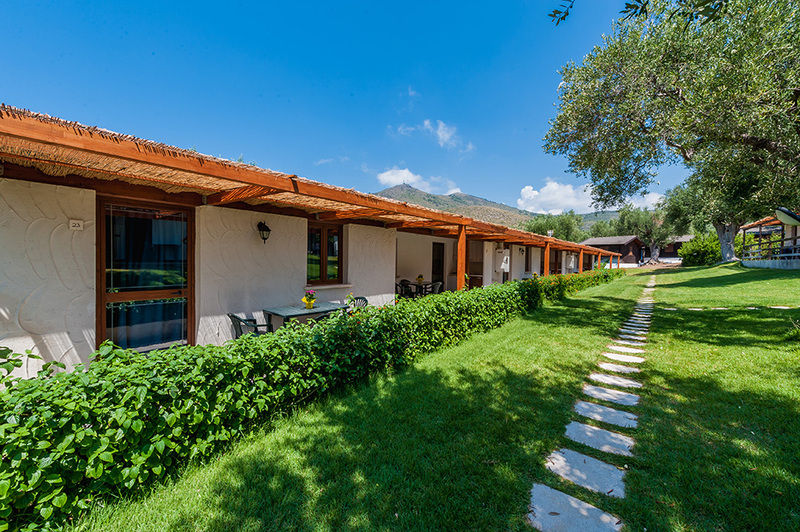 The Green Village represents the perfect union between sea and uncontaminated nature: a combination that will allow you an unforgettable and suggestive holiday. Masonry accomodation with 3 or 4 beds. With external kitchen, air condition, fridge and television. Masonry accomodation with 4 beds. With air condition, fridge and television. villaggio, residence, green, village, marina, camerota! A good holiday it really is if you eat, so much and well, you know! Here at the Green Village we know it well and for this we invest a lot in the kitchen and in the restaurant. Starting from the rich breakfast, passing through a fresh and delicious lunch until you get to a tasty dinner, we choose every day to delight guests with a rich buffet, theme nights and a staff, hall and kitchen, available to make each relaxed and pleasant meal. All this in line with the guidance of the Mediterranean Diet and with the addition of extra virgin olive oil of own production, from the centuries-old Olive trees Pisciottani present in the village. Lunch: Buffet side dishes, first and second courses at the table (choice between two first and two seconds), fresh fruit. Dinner: Buffet side dishes, first and second courses at the table (a choice between two first and two seconds), alternating sweet and fresh fruit. EXCLUDED BIBS: INCLUDED ONLY WATER IN CARAFE. Already from their entry into the Village, guests will be entertained by a team of entertainers ready to relax and entertain. It starts in the morning at the beach with muscular awakening and aqua-gym, as well as various tournaments and dances; you end up with the aperitif game. After lunch it is time for tournaments for the most sporting (football, cards, archery, volleyball), while for those who want to relax there will still be aqua-gym or can sunbathe on the green lawn after having done a bathroom in our pool. And for the mothers of the little ones? No problem! Thanks to our pool for children, relaxation will be assured to them too. For access to the swimming pools it is necessary to use the cap and rinse under the showers. Inside the Village guests will have a parking space available for accommodation (not assigned). To reach the beach there are two shuttles that will accompany you to our beach for free, the shuttles are not scheduled so the wait is minimal. If you are willing to come to Marina di Camerota to visit the famous beaches and caves of which you hear so much talk there are no problems, even in that case you will need the car: our structure organizes, in collaboration with local cooperatives, the beautiful boat trips: and to bring you to the port will be our shuttles. The parking is not guarded and the Village is not liable for any damage and / or theft. What's better than a cocktail in the pool? What holiday would it be without a nice cocktail in the pool? It would be like a meal without an espresso coffee! To avoid leaving you with this doubt in the pool / amphitheater area comes to life Green Bar , where you can buy everything you want, including the bathing cap for the pool (in the case you were without). After spending the morning at the beach, with our beautiful sea as a backdrop, you can relax at our beautiful swimming pool. We recommend the headset and the shower before entering the water! Impossible not to come back! High level service: professional and animated by the best hotel hospitality. villaggio, residence, green, village, marina, camerota!, marina camerota!, marina camerota!